Learn Hebrew with this 11-DVD set complete with workbook. 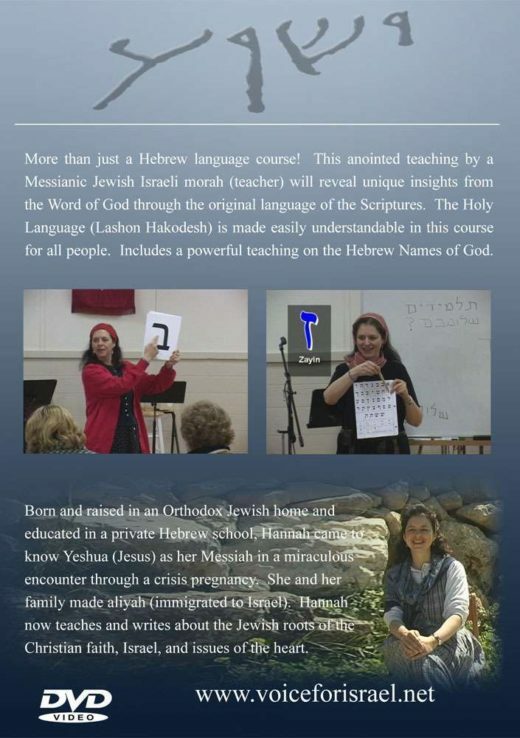 Includes two courses: Hebrew for Christians and Hebrew Names of God. Recorded live with Messianic author and teacher Hannah Nesher. More than just a Hebrew language course! This anointed teaching by a Messianic Jewish Israeli morah (teacher) will reveal unique insights from the Word of God through the original language of the Scriptures. The Holy Language (Lashon Hakodesh) is made easily understandable in this course for all people. 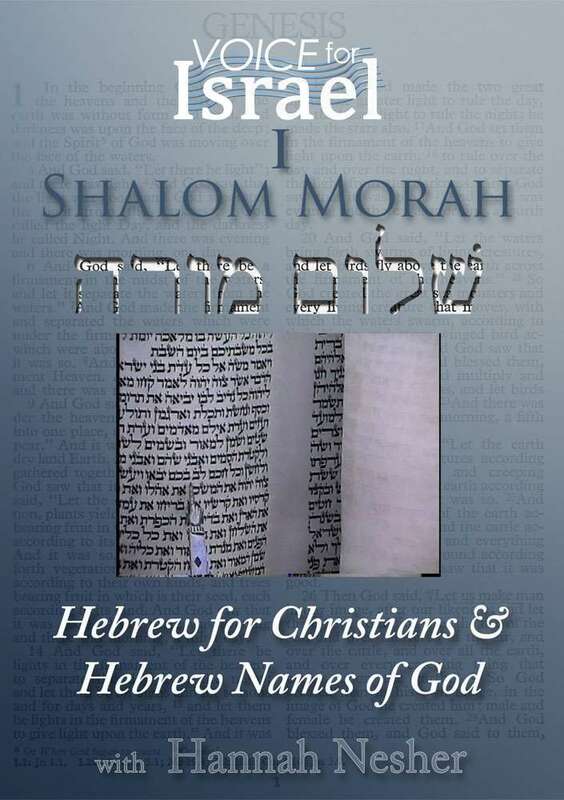 Shalom Morah I includes a powerful teaching on the Hebrew Names of God! Includes a powerful teaching on the Hebrew Names of God. Comes with a 90 page exercise booklet with worksheets.